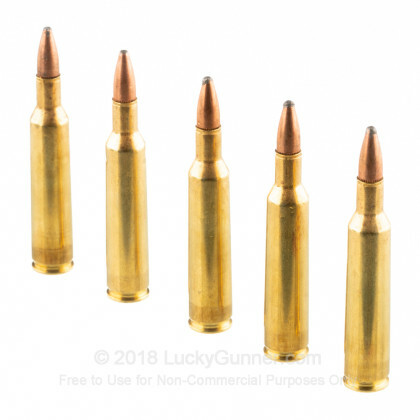 Designed in the beginning as a predator and varmint round back in 1955, the 6mm Remington is now a great hunting round in general. With better ballistics than the loved .243 Winchester due to a longer casing, the 6mm Rem is also easier to reload. 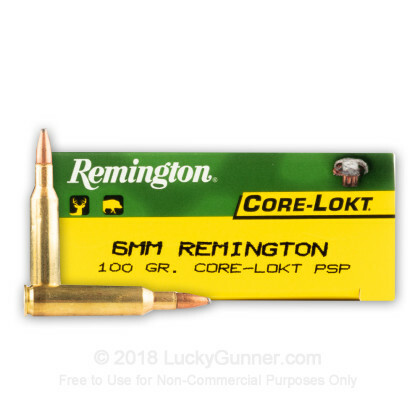 Whether you are looking to hunt varmints, coyotes, or deer, the 6mm Remington is just the rifle round for you. Remington has been around since 1816, making them the oldest firearms and ammunition manufacturer in the United States. As one of the most respected manufacturers in America, Remington is a proven and trusted brand name in the outdoor industry. 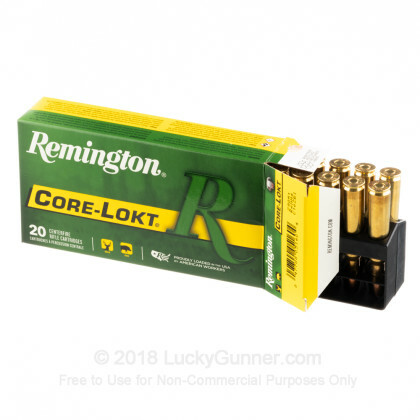 Remington ammunition is manufactured in Lonoke, Arkansas with high quality components. 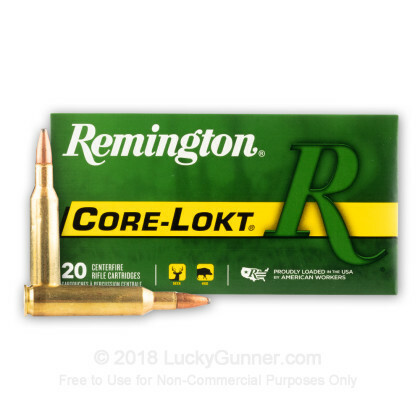 These Core-Lokt rounds are a great choice for hunting medium sized game. Each cartridge features a 100 grain pointed soft point projectile that offers controlled expansion and deep penetraion. 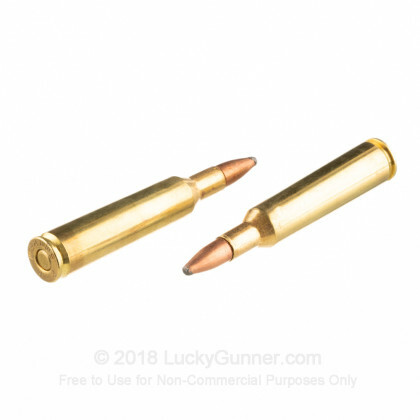 These bullets are loaded into brass cases that are boxer primed and reloadable. When you see the expansion and accuracy these rounds provide, you will not be let down. 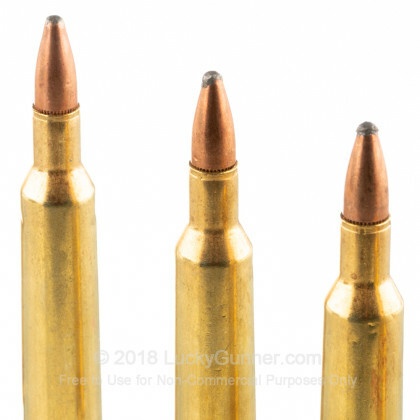 Best 6mm shells that I have found! The quality of shells were great, tips weren't damaged! Shot a buck at 350 yards, perfect!